Home > Blog > What is the Cause of My Constant Jaw Pain? Dealing with jaw pain can be quite the burden! It’s difficult to eat and simple physical impulses like yawning and laughing can be an exercise in torture. Jaw pain is a hassle that nobody wants, but what’s the cause? Possible Cause of Jaw Pain? Jaw pain can present itself in many different ways, whether on one or both sides of the face. Some pain only presents itself while the jaw is engaged in an activity, such as chewing food, while some jaw pain is ever-present. If you’re dealing with daily jaw discomfort, you’re probably suffering from a disorder of the temporomandibular joint, or TMJ. The TMJ is the joint that connects your jaw to your skull that acts as a hinge. Sometimes, something goes wrong in the TMJ, and you develop a temporomandibular joint disorder, or TMD. Oftentimes TMJ and TMD are used interchangeably. In layman’s terms: your jaw hurts and isn’t functioning properly. So why is that? Some professionals believe the muscles in the jaw or issues with the joint itself cause the problems. An injury such a whiplash can lead to TMD, as well as something as simple as clenching or grinding teeth due to stress. Deeper issues like arthritis may also be the problem. If your jaw is popping when you open and close your mouth, causing headaches, stiff or limited in movement or feels “off” when you bite down, there’s a good chance you have TMD. 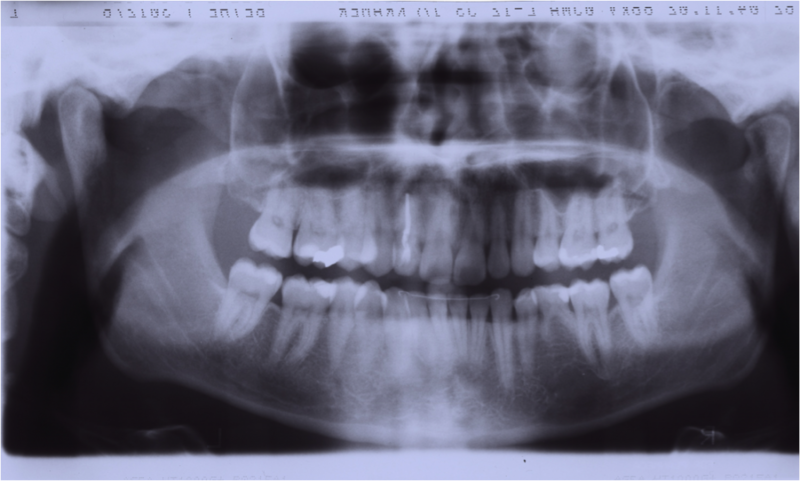 To be certain that TMD is the issue, you should consult with a medical professional. If you have been diagnosed with TMD, treatment is available. If grinding teeth and clenching your jaw are causing your jaw pain, the doctors at Hassey-Du Doy offer a custom-made mouth guard that helps alleviate symptoms of TMD. For most people, symptoms will pass whether you treat them or not. That said, you can alternate hot and cold compress between jaw stretches (if approved by your dentist) to help treat the issue. Eating soft foods like yogurt allow the jaw to heal more easily, and activities like singing that require extreme jaw movements are advised against. Unfortunately, some may need dental or orthodontic work to repair a problematic bite that can’t fix itself over time. Surgery is used as a last resort if just about every non-invasive treatment has been tried and failed. There’s no reason to suffer through jaw pain needlessly. If you’re showing signs of TMD, visit your dental professional to get a diagnosis, and to rule out other possible causes. Why live your life through a half-clenched, in-pain smile? Get it addressed, so you can get it fixed.